The use of combined high output blue LED indication and buzzer ensures a response to the call. 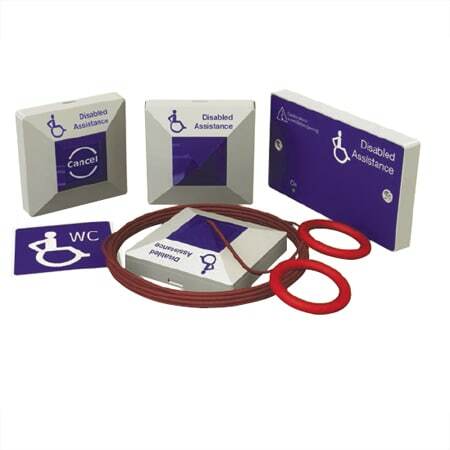 The Emergency Assist Alarm Stand Alone Kit comprises of all the components needed to install a fully compliant system, with additional parts available separately. Tactile braille signage to assist partially sighted people to easily operate the cancel plate.